I’ve not had any kind of desire to go inside of a cave for the longest time. In fact, I’ve never been in a cave. I confess, I am petrified of bats. In my mind, caves equal bats. Pretty much all I can picture are the leathery winged creatures hanging upside down on the ceiling of a cave, and when spooked they will all start flapping about and I will inevitably find myself in the pathway of one (or even worse, more than one). That’s just an unpleasant thought. On that note, I came across this pretty amazing cave in New Zealand. Looks like it would be an awesome experience. 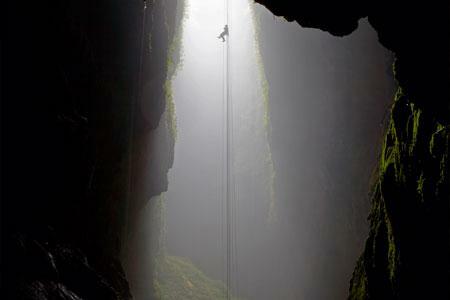 So awesome that I would consider throwing aside my inhibitions about caves just to go in this particular one. 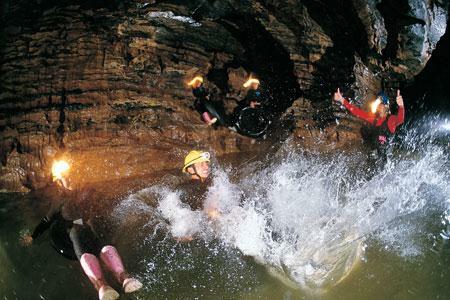 Located in northern New Zealand, the Waitomo Caves are an underground marvel that every capable body should experience. 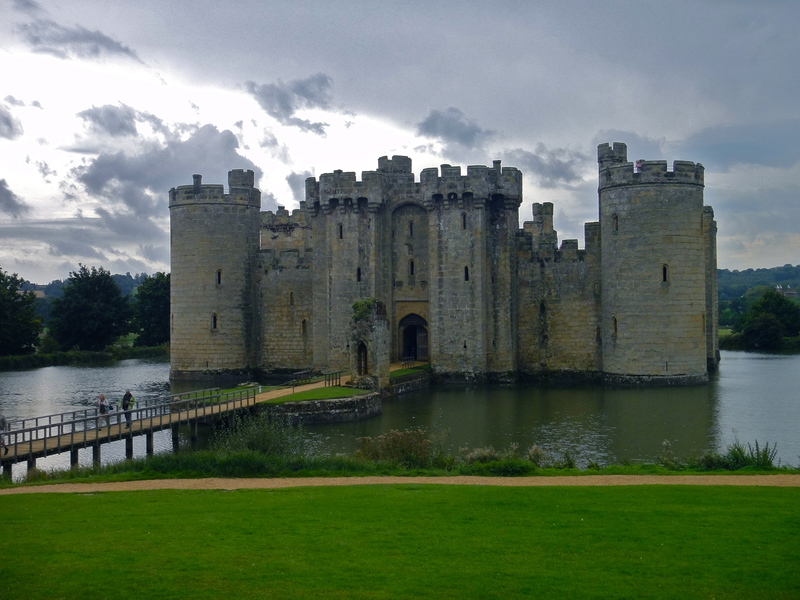 It’s a breathtaking beauty, a subterranean wonderland. Looking at the landscape above the caves, no one would be able to guess that a beautiful underworld is waiting to be discovered. How can you go about to partake of such beauty and adventure? 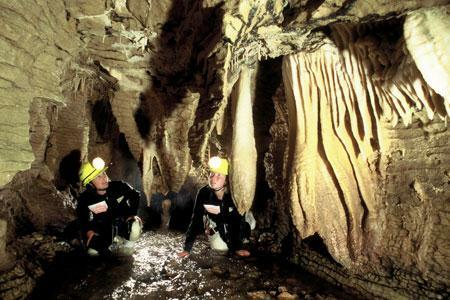 Waitomo Adventures offer a variety of guided tours through the cave. A couple of them would fall underneath the “extreme” category; however, I vote that everyone needs a little “extreme” in their life. 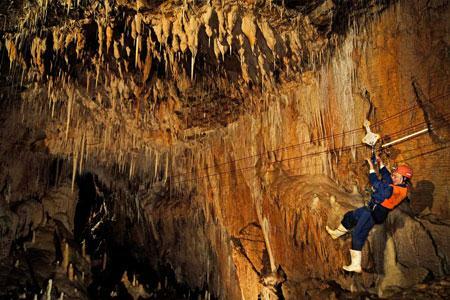 You are able to go on trips through the cave with guides which include ziplining, tubing, rappelling, not to mention an encounter with glowworms. These guys are the stars of the underworld, cool thing is they don’t stop shining when the sun comes out. 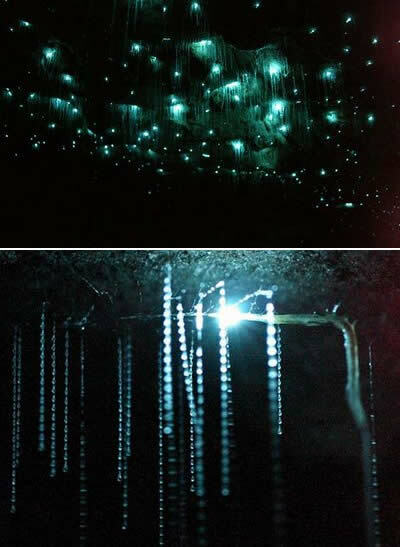 Underground Planetarium...fun fact for the day: the glowworm produces its glow through its waste and mucus.